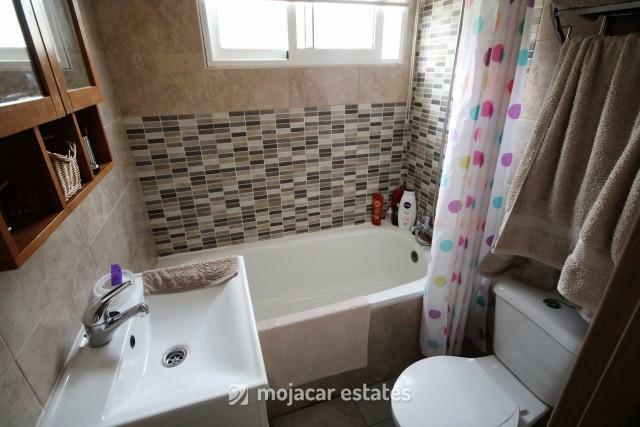 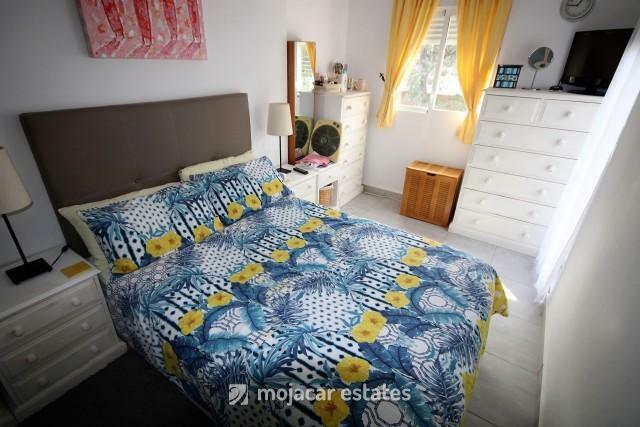 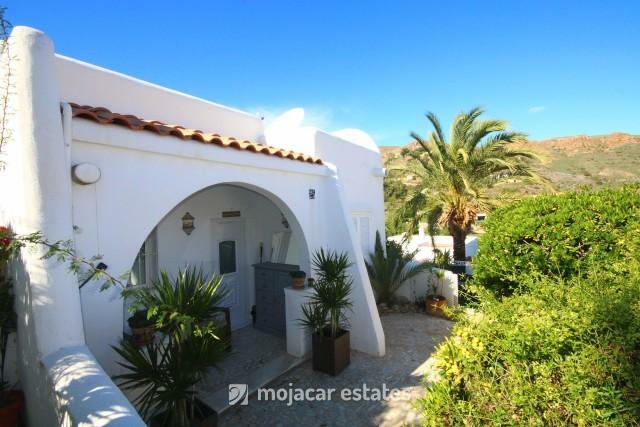 Semi-detached bungalow with 2 bedrooms and 2 bathrooms for sale on the Pueblo Sol urbanization on Mojacar Playa, Costa Almería, Andalusia. 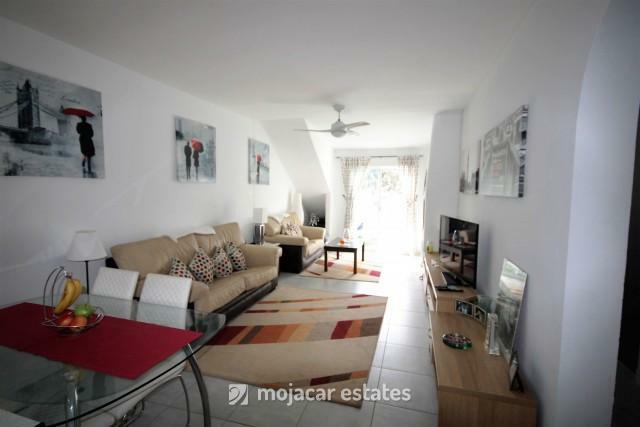 Delightful south facing bungalow with a private terrace, solarium, patio and gardens that allow for lots of outdoor space and different areas to enjoy the sun in winter and the shade in summer. 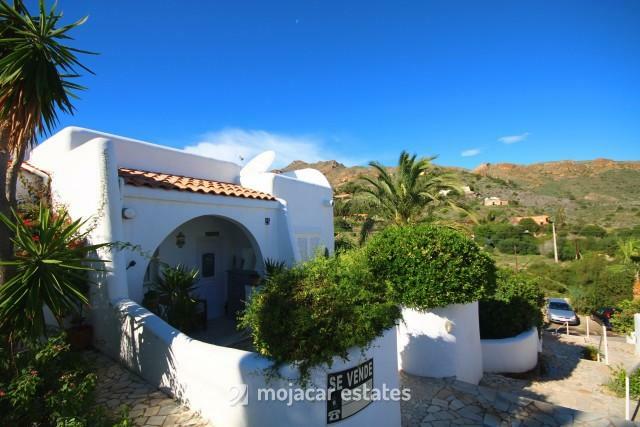 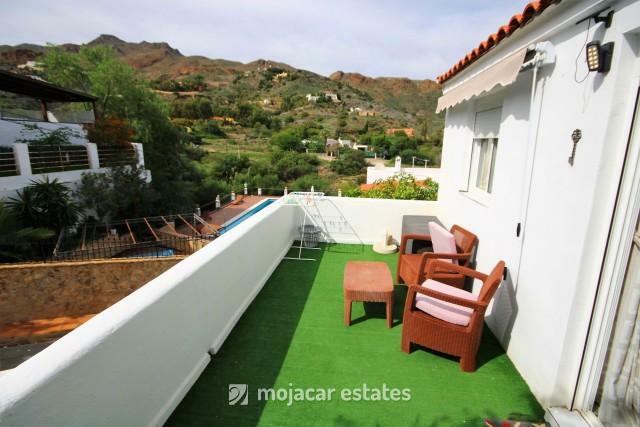 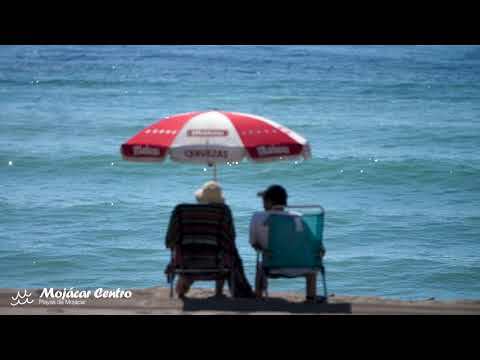 The bungalow forms part of the Pueblo Sol urbanization, a small complex which is in a quiet residential part of Mojacar Playa with beautiful views of the Sierra Cabrera mountains and approximately 750m from the beach. 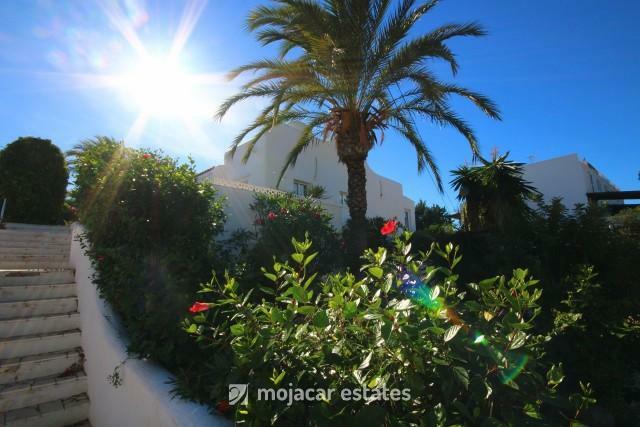 The plot size is 193m² distributed between terrace, patio, property and gardens. 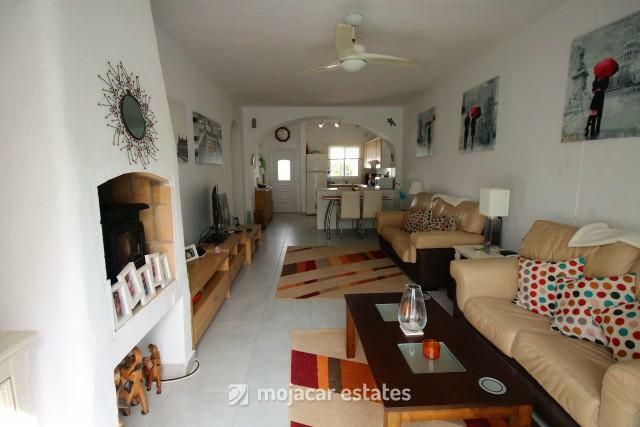 The bungalow comprises of an open plan kitchen - diner- lounge with a wood burning stove and patio doors onto a south facing terrace. 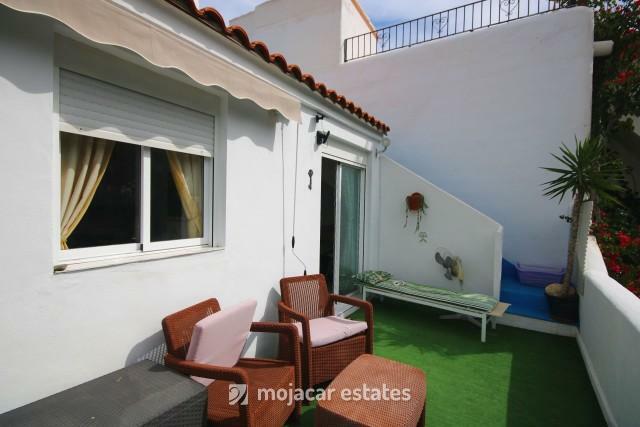 Stairs go up from the terrace to the solarium with a small storage shed and impressive views. 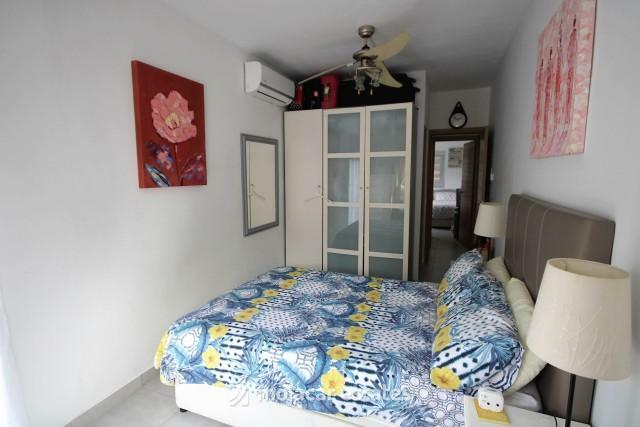 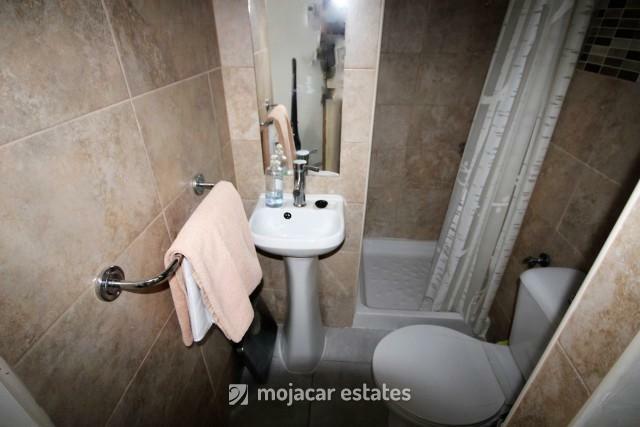 There are 2 double bedrooms, the master one with ensuite shower room. 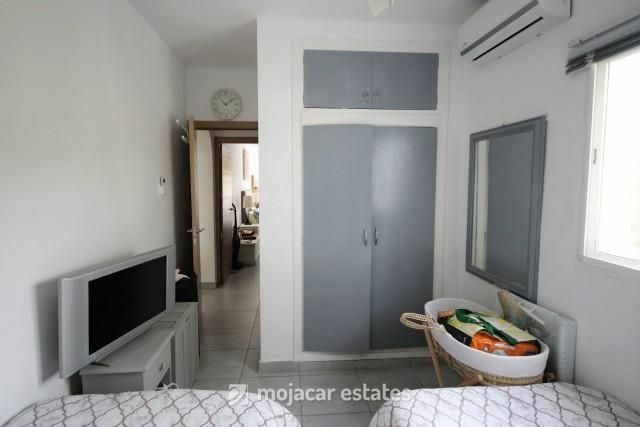 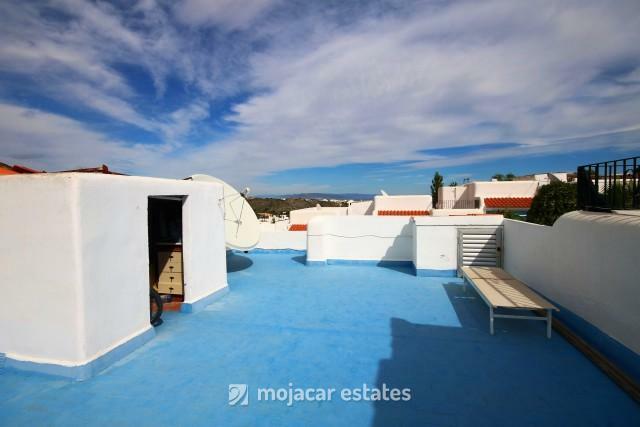 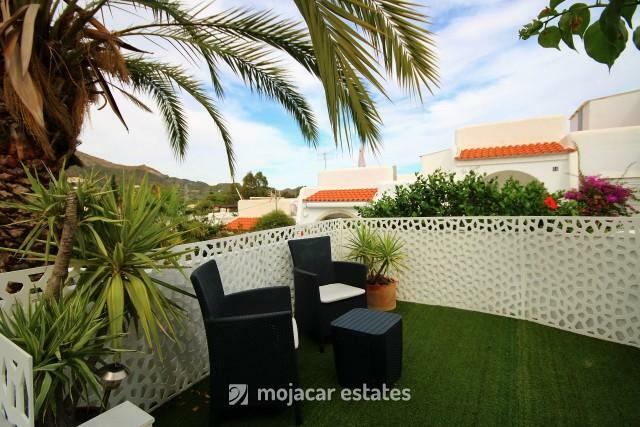 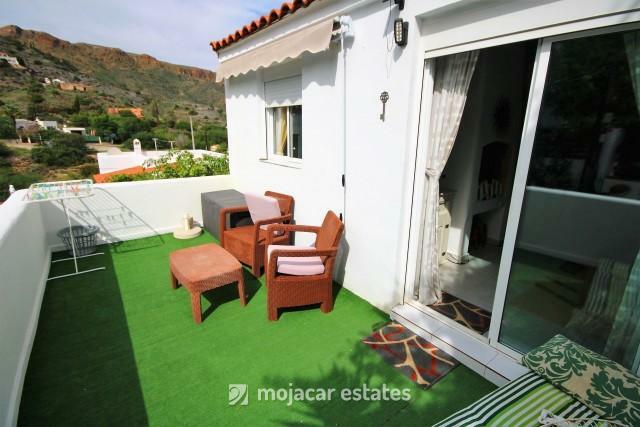 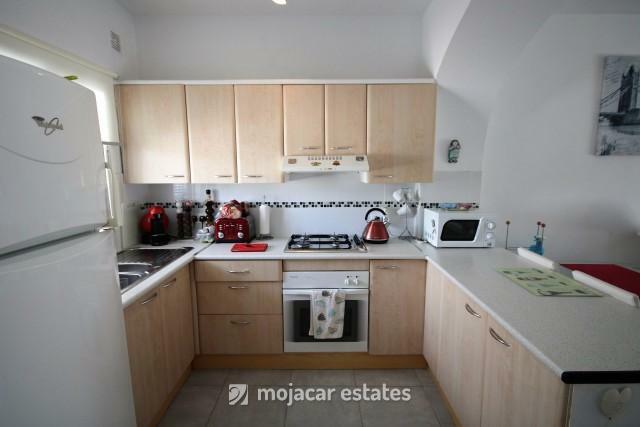 The property has a built area of 67m² and a terrace of 8m². 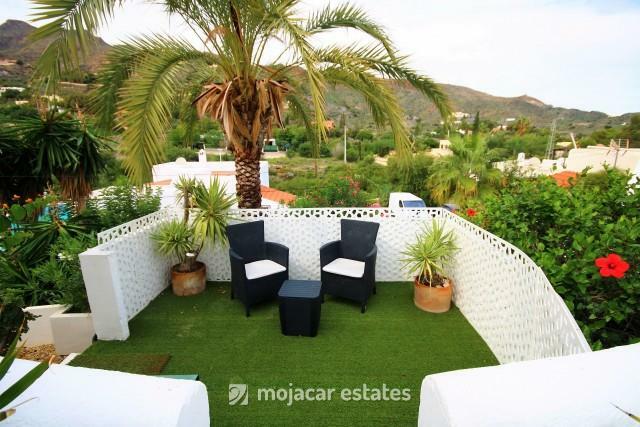 There is a patio at the front of the house with steps down to a private garden and views of the mountains. 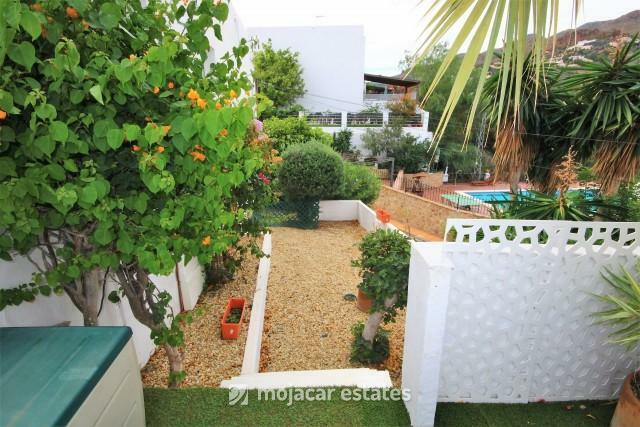 There are communal gardens between the 2 rows of bungalows and parking is on the street. 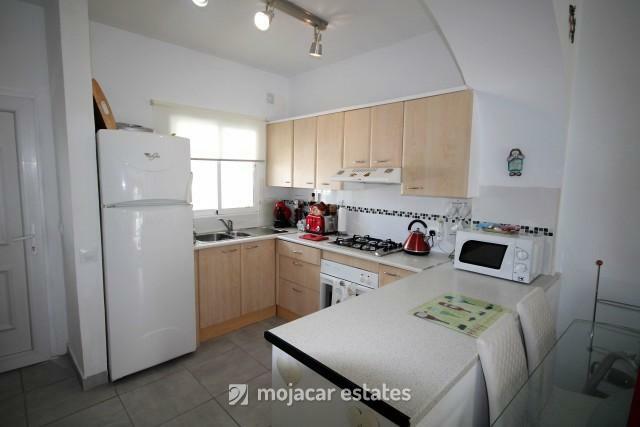 Furniture negotiable; white goods included in sale price. 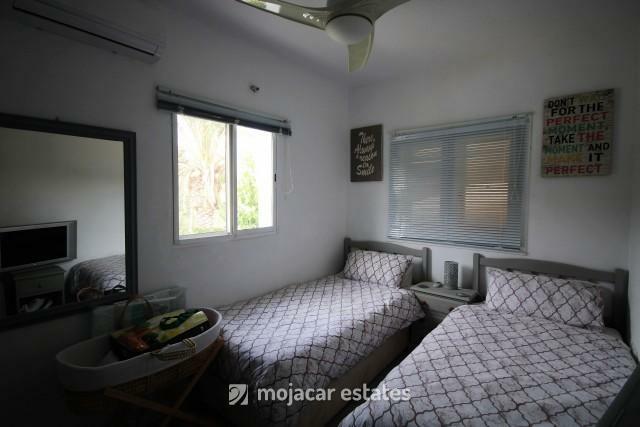 AC units and ceiling fans in all the rooms.